A classic Mid-Century Modern inspired bench made in either walnut or maple wood with an upholstered seat cushion. This bench can be customized in any size, any color, any style of leather or hair-on hide in our library. A classic Mid-Century Modern inspired pair of ottomans made in either walnut or maple wood with an upholstered seat cushion. 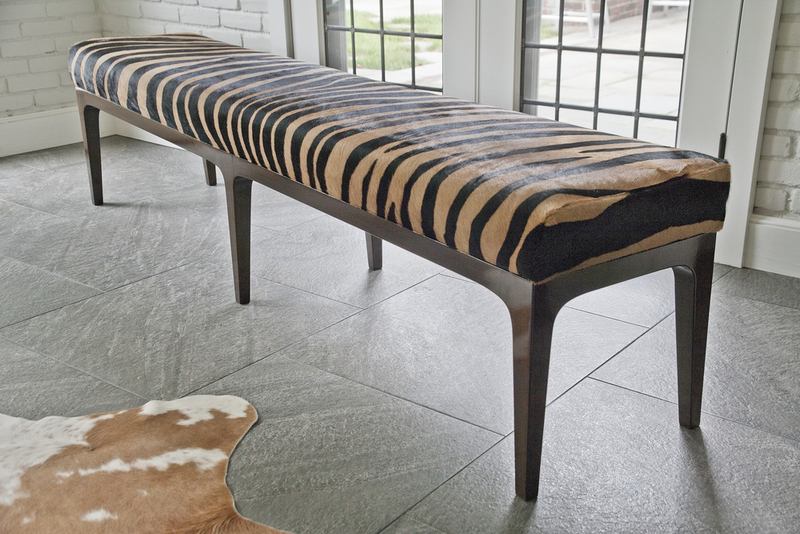 This bench can be customized in any size, any color, any style of leather or hair-on hide in our library.